From American Canyon Eagle: STRIKE UP THE BAND! Representatives from the 17 recipients of Napa Valley Community Foundation’s Ruth L. Terranella “Seventy-Six Trombones” Music Fund gathered at the Napa Valley Unified Schools District Auditorium on Tuesday to receive grant checks, and to show off the shiny new instruments purchased with the funding. Mrs. Ruth L. Terranella left the community foundation half of her estate when she died in 2010, with instructions to enhance music education for the children of Napa County. 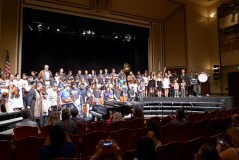 The foundation ran a competitive grant program in 2013 to distribute the total of $118,500 to public schools and nonprofit youth-serving music programs. 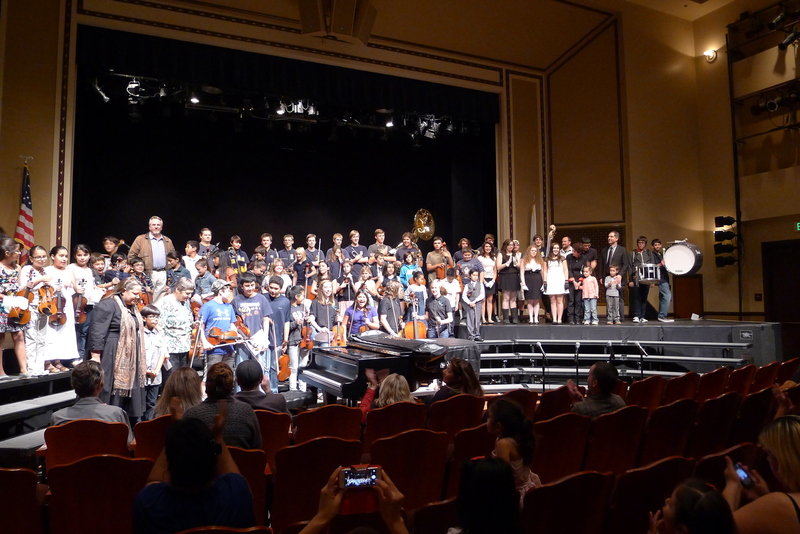 The musical celebration featured performances by students from Shearer Elementary, Harvest Middle and Napa Valley Language Academy with fellows from Napa Valley Performing Arts Center at Lincoln Theater’s Orchestra Institute Napa Valley. Copyright © 2019 Napa Valley Community Foundation. All Rights Reserved.